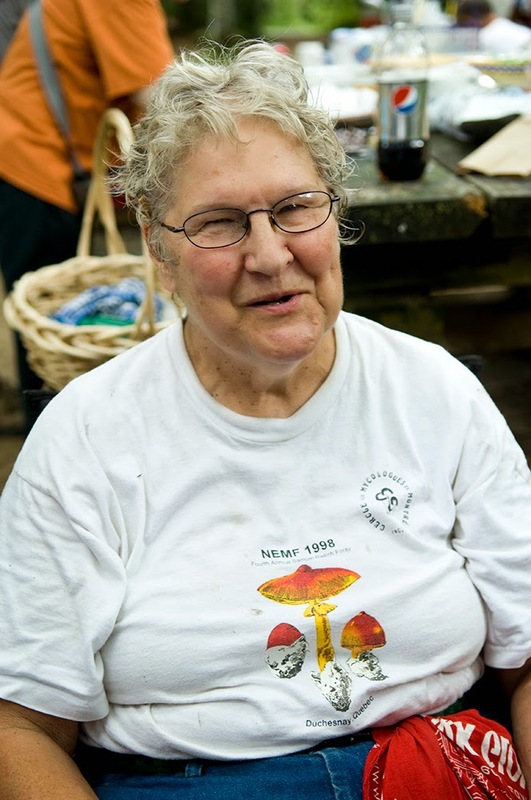 Last summer Gillian went off to Colonial Survivor summer Camp at the Connecticut River Museum and had a great time building stone walls, tending the chickens, erecting a post and beam structure, and dying textiles with plants they collected on site. One thing they did not try was making bayberry candles from real bayberries. 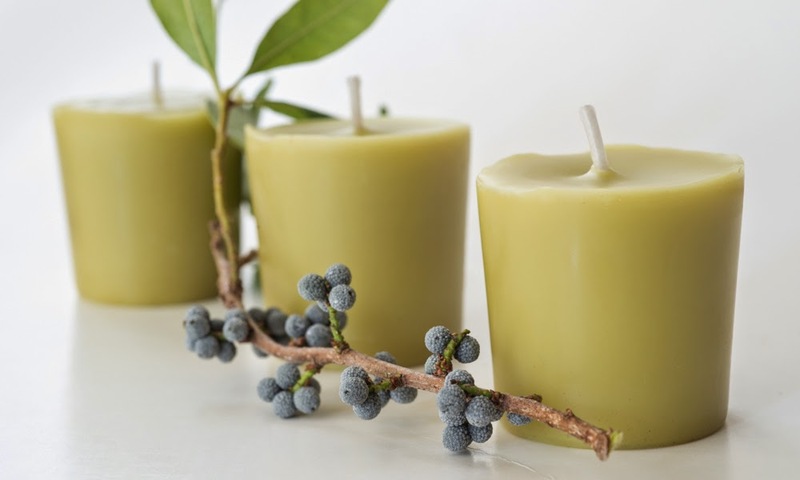 Bayberry candles were made by the colonists because they were cleaner burning and better scented than the candles made from tallow, or animal fat. 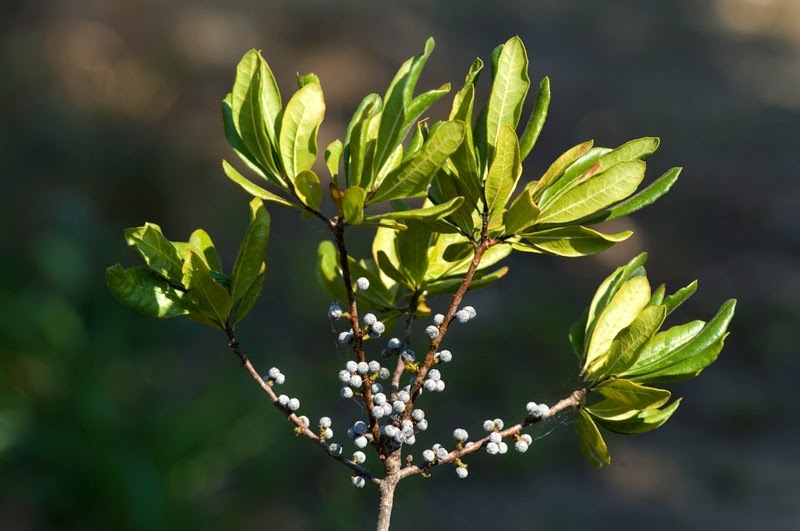 Colonist folklore states that if you light a new bayberry candle on Christmas Eve or New Year's, you’ll have health, wealth and prosperity in the coming year. The adage reads: A bayberry candle burnt to the socket brings food to the larder and gold to the pocket. In Connecticut, we have the northern bayberry, Myrica pensylvanica. It is not ideal for wax extraction, as it produces much less than the southern bayberry, but it's what I have to work with. The bushes are dioecious, meaning there needs to be male bushes to pollinate and set the fruit on the female bushes.They are a dense-branching deciduous shrub, native to North America where it is primarily found growing along the eastern coast (including seashore) from Newfoundland to North Carolina. 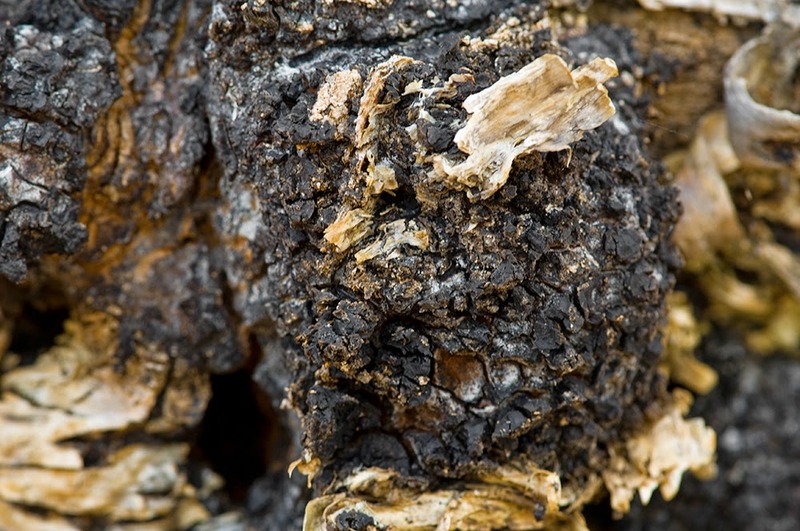 We often find them used in landscaping applications in parking lots because they form attractive thickets and hedges. The blue-grey berries are clustered along the branches where the flowers were pollinated. We also gather the mildly fragrant leaves to press dry and use as a substitute to commercial bay leaves; we use more bayberry leaves in a recipe as their flavor is not as strong as commercial bay leaves. On a recent trip over to Long Island, we were picking beach plums and I noticed the bayberries seemed especially abundant, and I gathered a gallon of them to take home. My hands were coated with their wax and fragrance for the rest of the day, as I just grabbed the clusters of berries and pulled them into a bucket. It takes about 15 pounds of bayberries to render 1 pound of wax, so I knew I would not get too much wax from my one gallon. I shook the berries in a mesh sieve to get some of the smaller debris out, then placed them in a large pot with some water. I brought the pot up to a boil, and then simmered the berries for 15 minutes. The berries and most of the sticks and stems will sink, while the wax will float up to the surface of the water. I then ladled and strained the hot wax through an old jelly bag to remove more of the debris and dirt. I let the wax and some of the hot water cool in a plastic container, where the wax floated to the top and hardened. 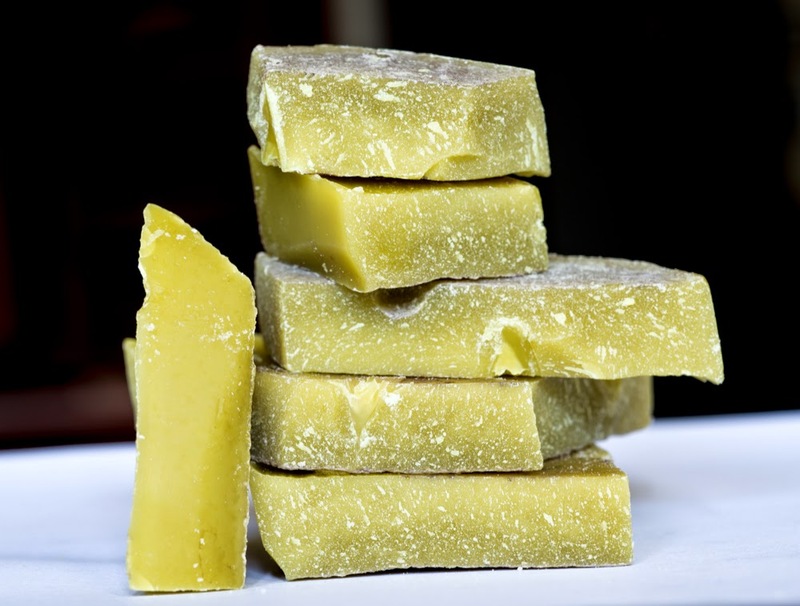 The wax block was easy to pop out and dry off, and there was about 1/3 cup of fragrant, green wax. Off to the craft store, where I purchased some votive molds, wicks, and unscented candle wax to mix with the bayberry wax. The bayberry wax is a bit weak and prone to discoloration and warping over time, so I chose to make short votives and fortify the wax with plain wax. With my little bit of bayberry wax mixed with plain wax, I managed to pour three candles which we will burn on Christmas Eve into Christmas Day day for abundance and blessings, and for the memories of a summer day on Long Island gathering bayberries in the sun. 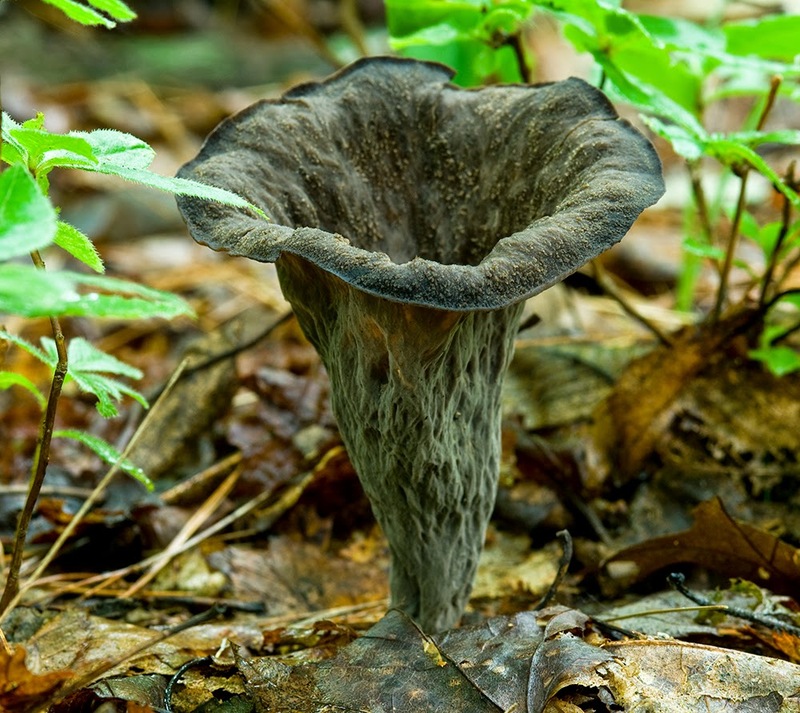 Weekly forays with Connecticut Valley Mycological Society have us out in many locations throughout the state of Connecticut looking for fungi. We particularly like the edibles (of course! 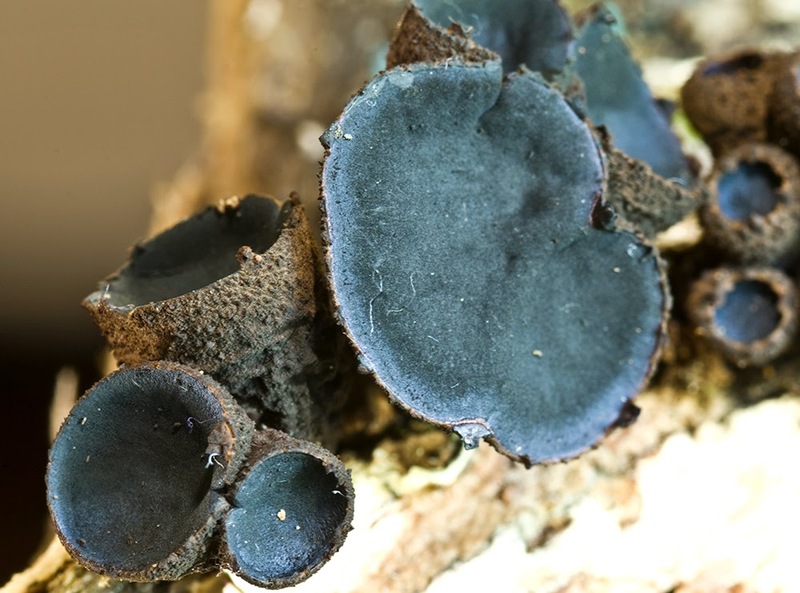 ), but most of the mushrooms that come back to the identification table are not edible, some will make you sick, and a few can kill you, and those are definitely the ones you want to learn and avoid. 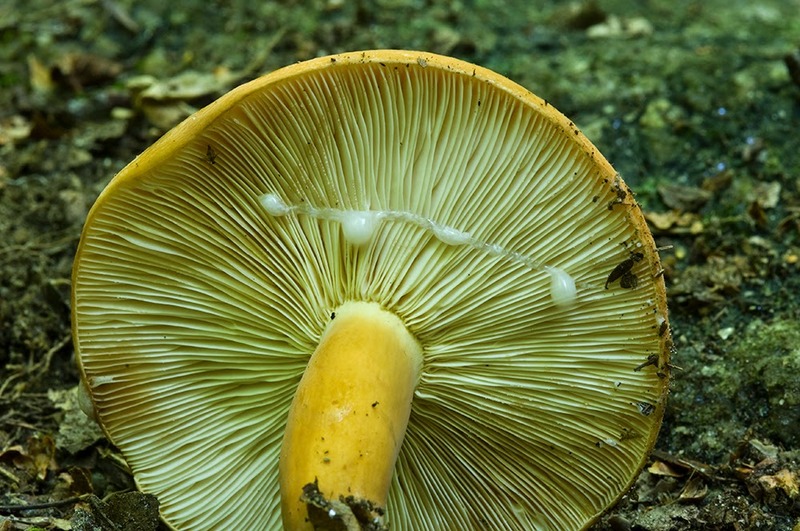 Initially, the weirder mushrooms we would find are in the genus Lactarius, and they can produce a milky latex-like substance when cut, scratched, or injured. Sometimes the milk is white, other times it is yellow, or can stain to red or blue. Kind of freaky, right? It turns out that some of those milky mushrooms are excellent edibles, and we collect them to take home. 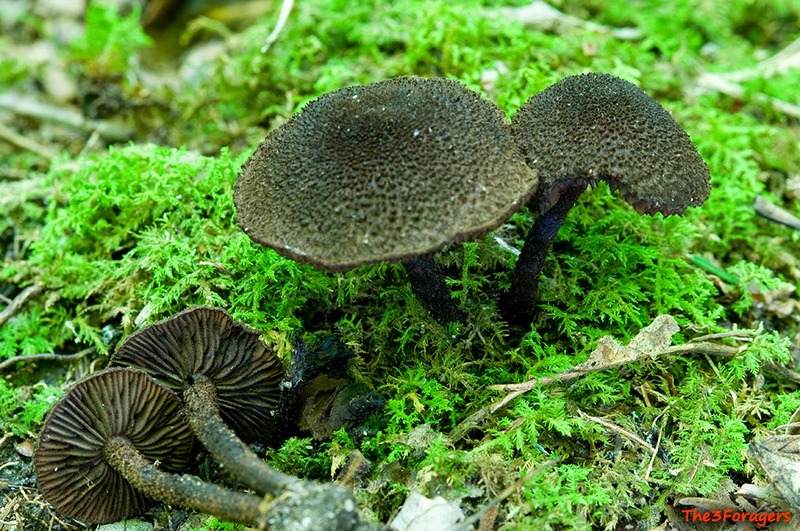 We collect three species for eating: Lactarius volemus, Lactarius hygrophoroides, and Lactarius corrugis. 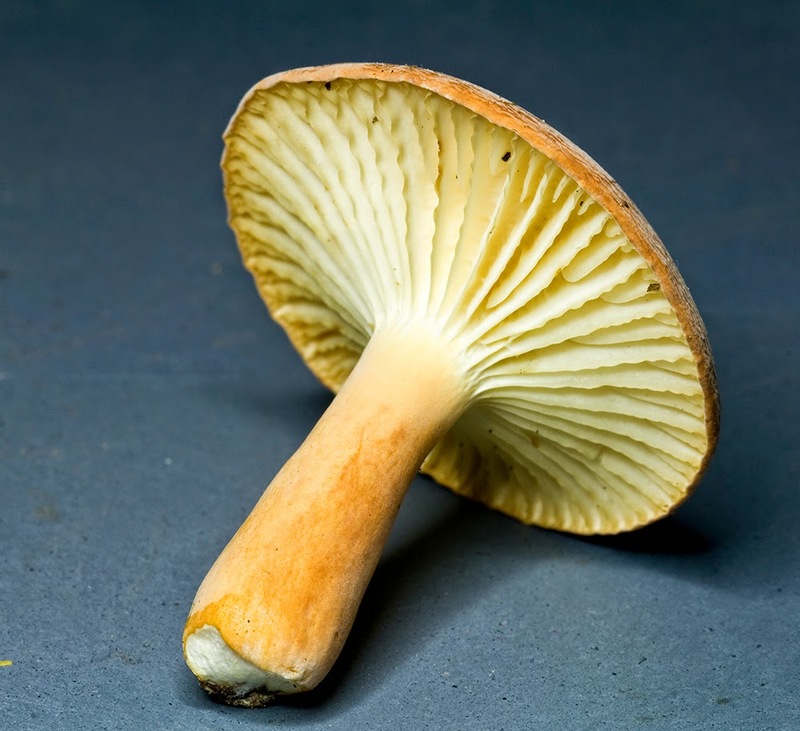 There are a few other edible Lactarius, but these three are species we can find in abundance in the summer in New England. When pan fried with a bit of oil or butter, they manage to retain a nice textural crunch. The L. volemus and L. corrugis have an unusual fishy odor when fresh, a key identifying characteristic, and some people think the odor carries over to the flavor; I find them to be an excellent edible, with an iron-y quality that doesn't have the fishy taste. members when it comes to cooking, eating, or preserving the fungi. 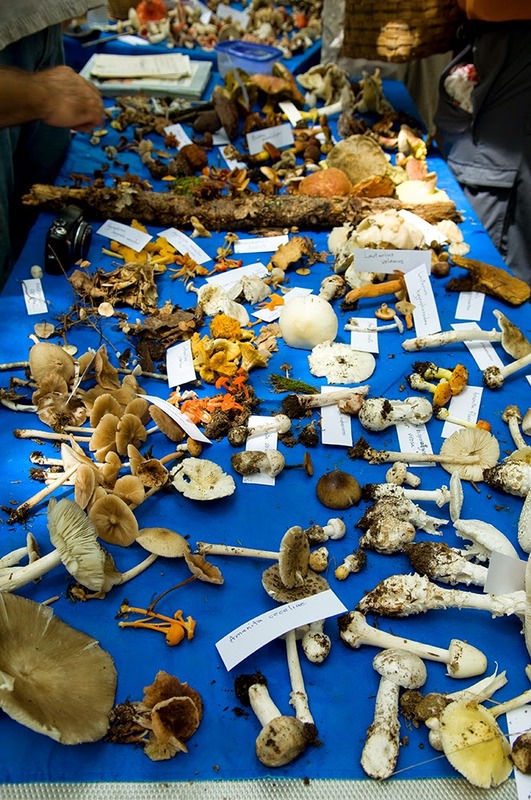 One club member, Connie, told Robert about salt-brining the Lactarius mushrooms for long term storage, a technique he now uses every year. We can sometimes find more than a dozen large, bug-free specimens on a foray day to bring home and begin the brining process. Robert begins by cleaning the Lactarius gently, then cutting them into quarters. He boils them about 10 minutes, lets them cool, then drains the cooking water. Sometimes we don't collect enough for a full jar, so he stores the cooked mushrooms in salted water in the fridge until we can collect enough for the brining process. Once we have enough, he layers them in a non-reactive glass jar, adding a few spices like garlic, peppercorns, or onions between layers, and salts each layer liberally before adding more cooked mushrooms. He allows the jar to sit a day or so, to see how much more liquid the mushrooms will exude under the salt, then adds enough clean water to cover the mushrooms entirely. They then can be stored in a cool place until we need them, and he has successfully stored them in this manner for about one year without mold forming. 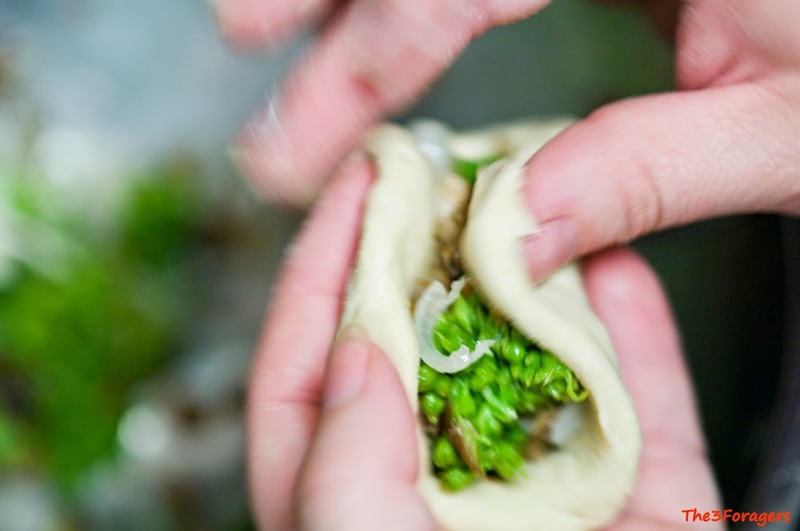 To use the preserved mushrooms, we remove them from the salt brine, rinse them, and soak them in fresh water overnight. They are then ready to be used in recipes, like Mushroom Paprikas, or I used them mixed with milkweed flower buds and ramps bulbs as a stuffing for steamed buns for a CVMS potluck picnic. 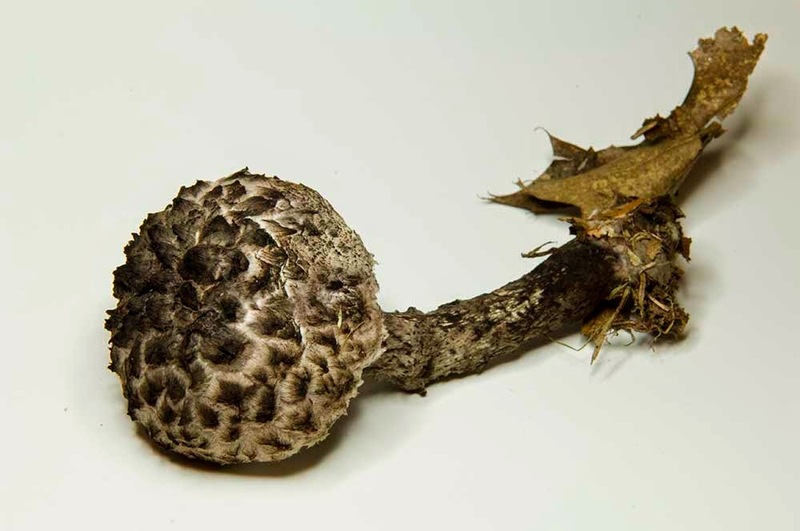 Becoming familiar with an edible mushroom that can produce a crazy and weird milk-like substance really opened our minds to the culinary possibilities of fungi in general. 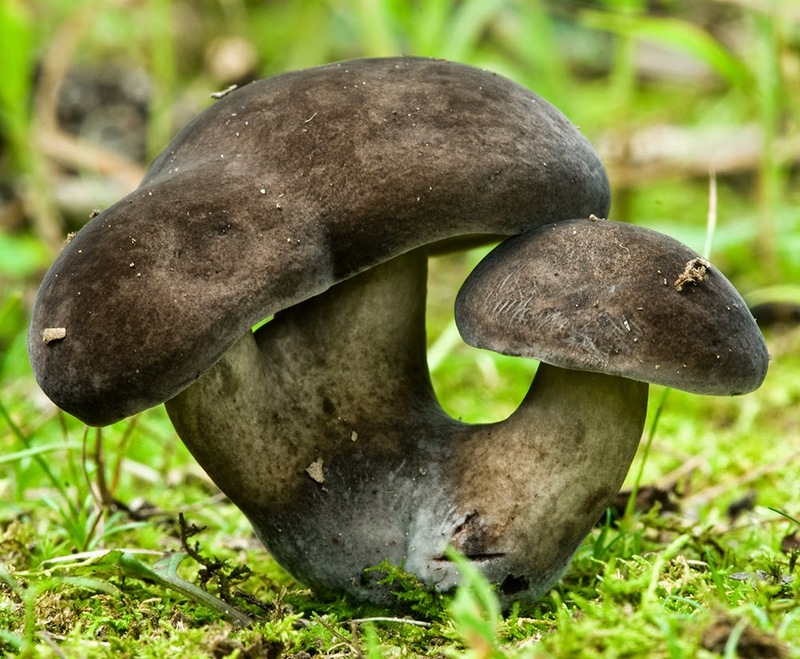 Previously, I was terrified of wild mushrooms, a real mycophobe, and it was my insistence that we learn mushrooms from people and not books that led us to CVMS and its wonderful members. 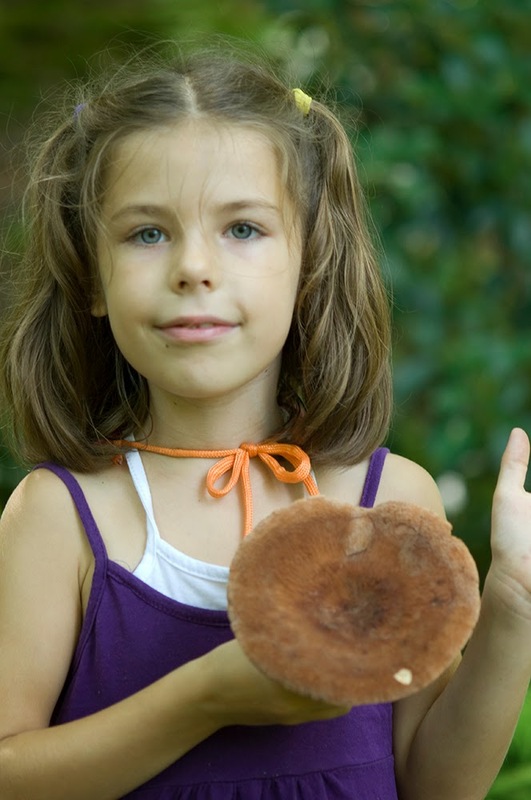 I cannot stress enough how important it is to seek out and find wild food mentors to teach you the hands-on knowledge that can't be gained from a guide book, whether plants, fungi, or other foraging skills. While we are still not comfortable teaching in a commercial manner yet, we are always interested in learning and are willing and able to pay dues and for classes to further our education and experiences. Forage on! 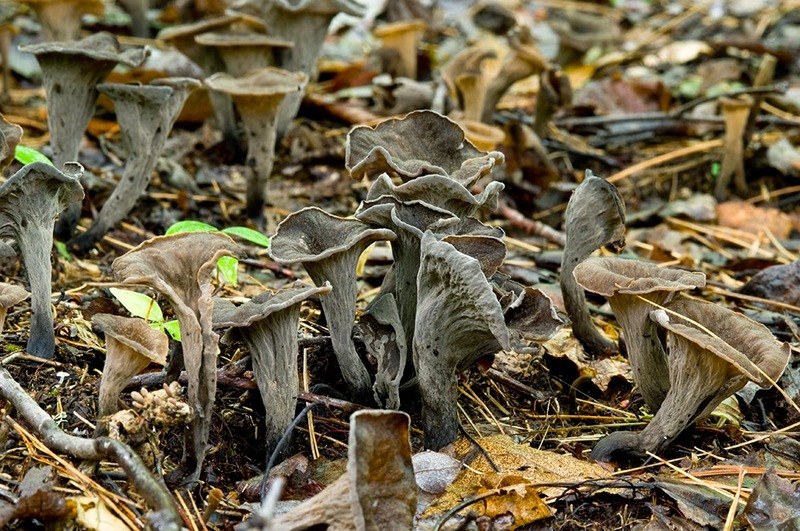 Black trumpets (Craterellus cornucopiodes), also known as the trompette de la morte, the trumpet of death. They are actually quite delicious. There are so many colors of summer for which we forage; deep green leaves, blueberries, red wineberries, orange daylily flowers, light green milkweed pods, yellow dandelions. Hunting for fungi, we see red and green Russulas, bright yellow Hygrocybe, purple Clavaria zollengeri, and plenty of little brown mushrooms. 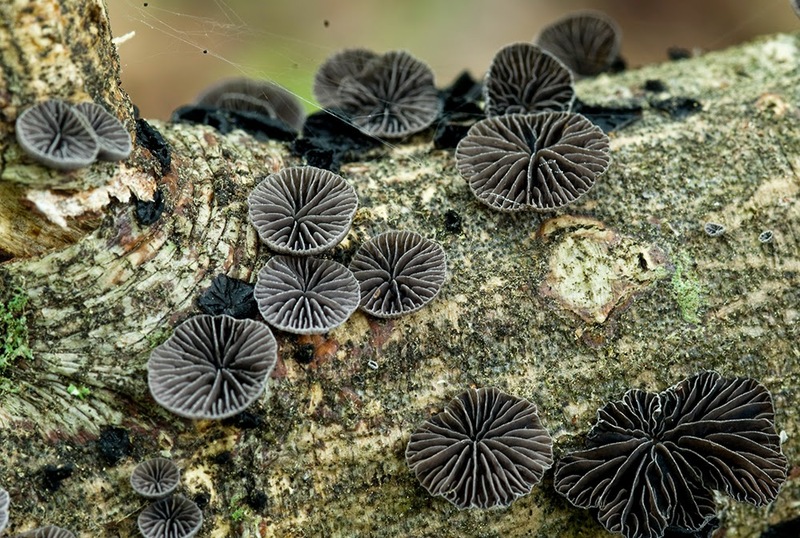 It's the absence of color that is often the most striking, the black hole on the forest floor, that stops us in our tracks. 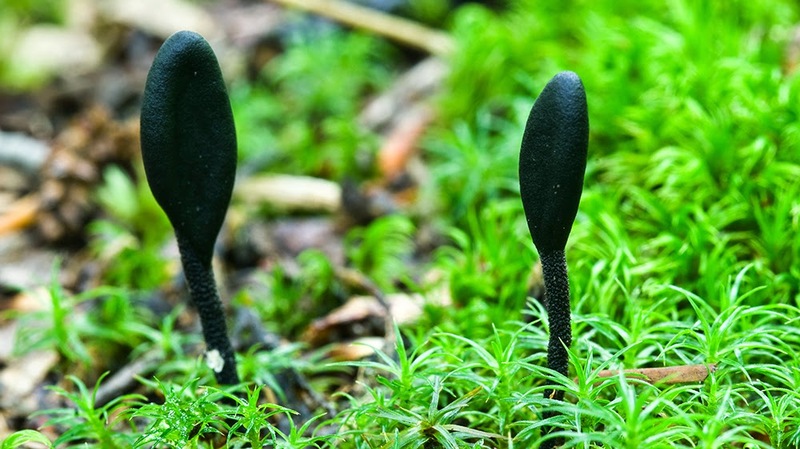 While not all are edible, they are certainly beautiful.